Professor Peter Rossky will receive the 2018-19 Joseph O. Hirschfelder Prize in Theoretical Chemistry, administered by the University of Wisconsin-Madison Theoretical Chemistry Institute (TCI). Prof. Rossky is Dean of the Wiess School of Natural Sciences at Rice University. He is also the Harry C. and Olga K. Wiess Professor of Chemistry and professor of chemical and biomolecular engineering. Rossky is a member of the National Academy of Sciences, a member of the American Academy of Arts and Sciences, a fellow of the American Association for the Advancement of Science and a Fellow of the American Physical Society. Prof. Rossky is a theoretical chemist who finds nothing more engaging then to try to understand the molecular-level processes that underlie an important experimental observation whose origin is controversial or puzzling. His work lies almost entirely within amorphous condensed phase materials (liquids, polymers, molecular clusters). TCI established the Joseph O. Hirschfelder Prize in Theoretical Chemistry in 1991 in response to a generous bequest from Professor Joseph O. Hirschfelder (1911-90) and his widow, Dr. Elizabeth S. Hirschfelder. 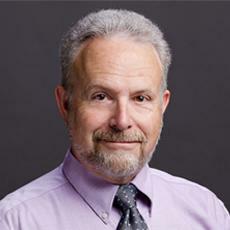 Over the course of his 40-year career, Professor Hirschfelder established himself as a leader in teaching, research, and public service at the university and in the broader research community. The award commemorates his role as a pioneering member of the theoretical chemistry field, beginning in the late 1930s. Prof. Rossky will visit the UW-Madison Department of Chemistry October 8-9, 2018 to deliver two public lectures in 1315 Chemistry Building. Lecture details to follow. Learn more about the Hirschfelder Prize.